BothamUI is MVP (Model-View-Presenter) framework written in Swift. This project will help you setup all your presentation logic. BothamUI provides classes to represent the main components of this pattern like BothamViewController and BothamPresenter. In addition we will use a wireframe navigation model and a service locator example[ [di]]. Application UI/UX designs by Luis Herrero. BothamStoryboard provide a series of methods to help you instantiate view controllers by there storyboard ID. 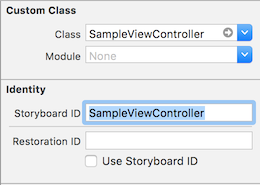 By default instantiateViewController() will search for view controller with the storyboard ID with the same name as the class. private weak var ui: SampleUI? BothamUI is built around the concept of dependency injection, all the dependencies are provided by constructor or properties, base on what UIKit allows us. In the example a Service Locator is used in order to instantiate view controllers, but you can also use Swinject or others DI frameworks. ViewControllers instantiated view UIStoryboard, can't reference Generic Type. Presenter and ViewController have a circular reference (like a ViewController and Datasource). CocoaPods 0.39.0+ is required to build BothamUI. Feel free to report us or add any useful feature to the library, we will be glad to improve it with your help. Keep in mind that your PRs must be validated by Travis-CI.